Comment: I seem to be dealing with a silverfish infestation. Over the past several days (after I have sprayed Ortho Home Defense around my property) I began noticing some bugs in my house, which I have now identified as silverfish. I haven't been able to determine where exactly they are coming from. I am looking for an evaluation of the situation, and hopefully an elimination of the current problem. Comment: A baby raccoon is on top of my porch roof. The mother was removed by city this am. Did not know this was a mother- thought it was making a den. It is young, walking around, and now just laying down. I am so worried for it! Do not have any idea what to do. Comment: Need more than poison. Rats continue to get in. Need permanent solution to kill and keep them out and clean out whatâs there. Comment: 3 level Townhouse in West View - Encounter large black ants on every level, wasps from ?, spiders on lower level. Pittsburgh Pest Control Services are rated 4.71 out of 5 based on 1,277 reviews of 13 pros. 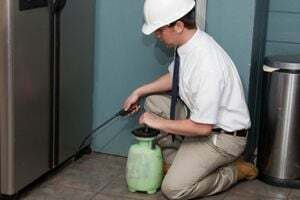 Not Looking for Pest Control Contractors in Pittsburgh, PA?